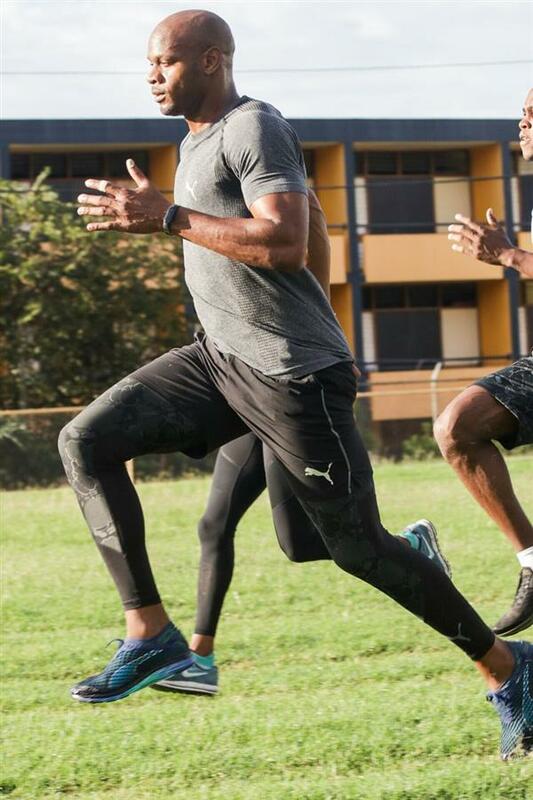 Jamaican record holder Asafa Powell will make his first appearance indoors since copping silver at the 2016 World Indoors Championships, when he lines up in the 60m at Saturday’s Millrose Games inside the New Balance Track and Field Centre at The Armory in New York. Powell, who is continuing his comeback after a lengthy layoff due to an Achilles injury, which he suffered last year, is looking to make a return to the IAAF World Indoor Championships in Birmingham in March. Speaking ahead of Saturday’s assignment, the former 100m world record holder underlined that he is eager to show his form, adding that he is excited about what will be his first time competing at the highly-rated indoor track and field festival. “Millrose marks a few firsts for me. It’s my first time back on the track after my Achilles injury, it’s my first time at the Millrose Games itself and it’s my first indoor meet for the season. I’m excited to make this my first indoor win,” said Powell. Powell, who boasts several medals at major international outdoor championships such as the Olympic Game and World Indoor Championships, is no stranger to the indoor scene, having made his mark on the short sprint. The 35 year-old broke the Jamaican record in the 60m at the 2016 World Indoor Championships in Portland, Oregon – clocking 6.44 seconds on the way to winning his heat and in the process bettering Lerone Clarke’s 6.47 seconds, which was set in 2012. Powell, known for his blistering first phase, repeated his mark – again stopping the clock at 6.44 seconds in the semi-final stage of the championships, before going on to take the silver medal in 6.50 behind Trayvon Brommel, 6.47 seconds. Still, only five men have gone faster than the Jamaican in the history of the 60m event and fans are in for a show this weekend, with Powell determined to register himself as a favourite heading into Birmingham. He will be joined by a number of other high-profile athletes from the Doyle Management Group, including Olympic and World Indoor relay gold medalist Courtney Okolo; Olympic finalist Devon Allen; experienced hurdlers Lolo Jones and Queen Harrison; Vernon Norwood and pole vaulting pair Sandi Morris and Alysha Newman. Other athletes set to feature are Clayton Murphy (800m), Andy Bayer (3000m), Allen Harris (60mH) and Kate Grace (Mile).